Rob Davies - Microservices through Continuous Improvement: What to look forward to at CamelOne, June 10-11th, 2013! What to look forward to at CamelOne, June 10-11th, 2013! Firstly the we have a new host, Red Hat who have kindly agreed to host CamelOne at the Hynes Convention Center, at the same time as JudCon and Red Hat Developer Exchange. This means people attending will be able to move between these different events and pick n' mix what they go to. It also means there will be a chance for attendees to mingle - and see what's happening on both sides of the open source fence. The second thing you'll notice, is that is going to be a very strong emphasis on open source projects. 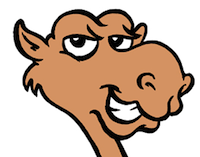 I've no doubt the occasional product may get a mention, but the aim of CamelOne this year is to educate and share experiences of using the best open source integration software out there. If you look at the agenda, you will see there's a real mix of customer experience stories and best way to use the Apache projects to be successful. Thirdly, the overall theme is going to show how you the direction integration projects from the ASF (Apache Camel, ActiveMQ, CXF, Karaf, ServiceMix) are taking to address the integration needs for the next five years: The internet of things, the proliferation of cloud API's, and mobile. Attendees will also see the direction that the Fuse Engineering team inside Red Hat are developing for future projects, in particular better management and Cloud-based Integration. This is going to be the best CamelOne yet - we are expecting record attendance - and I look forward to seeing you there!